Looking for some fun this weekend? We have a few choices. 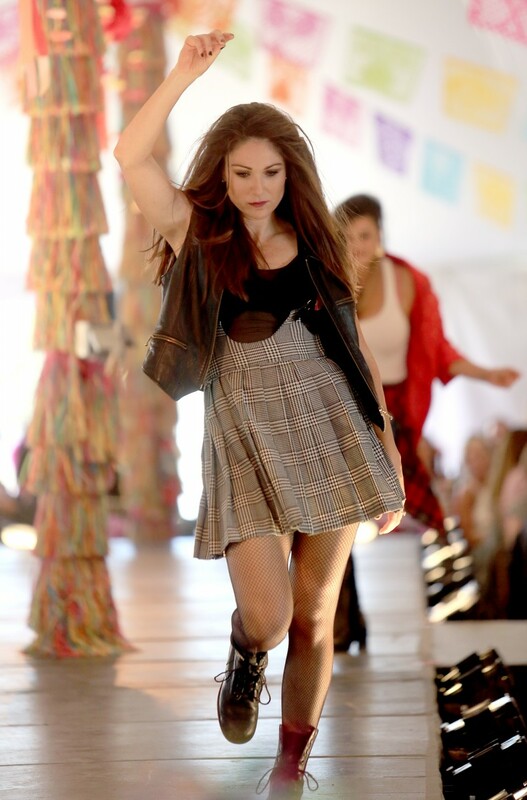 This Friday, models will strut their stuff for a good cause at Catwalk for a Cure. 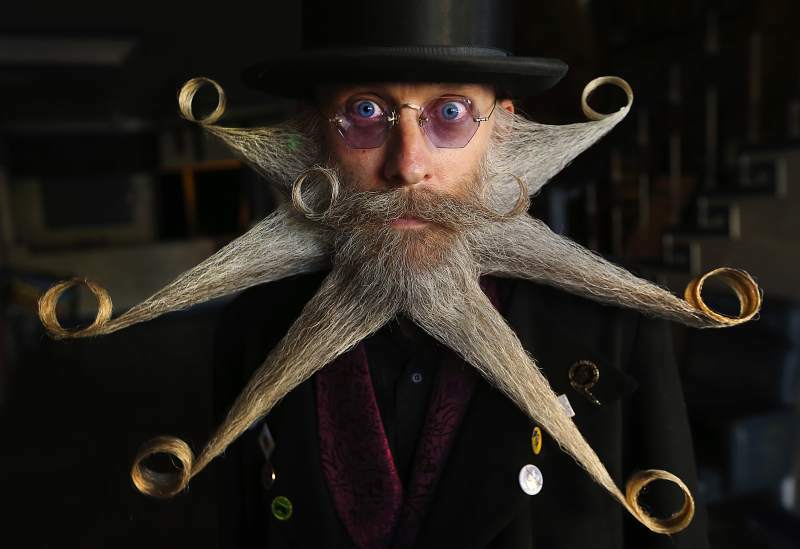 On Saturday, things will get hairy at Petaluma’s Whiskerino. And on Sunday, it’s all about the Mac n Cheese. All this and more is in our list of things to do. Catwalk for a Cure: This Friday, fashion meets fundraising as models strut their stuff for a great cause. The 14th Annual Catwalk for a Cure is a fashion show filled with fun, stories, a live auction and more as folks come together to support breast cancer services at Sutter Health. The event takes place 10:30 a.m. to 2:30 p.m. at the Luther Burbank Center for the Arts. Find our more at www.sutterpacific.org/catwalk. Great Santa Rosa History Hunt: This Saturday, the Historical Society of Santa Rosa is hosting its 3rd annual history hunt at the Rural Cemetery in Santa Rosa. Participants will solve clues by finding the right graves in a race to identify all 16 graves. The winner will receive a cash prize. Cost is $10 per person, and kids under ten are free. Registration starts at 9:#0 a.m. Find out all the information at historicalsocietysantarosa.org. Shone Farm Festival: Enjoy a farm-filled Saturday when Shone Farm opens its doors for its annual free fall festival. The event will feature farm tours, children’s activities, farm fresh produce for sale and more. The event takes place 10 a.m. to 3 p.m. at the Santa Rosa farm. Find out more at shonefarm.com. Burning Ham: Go whole hog at this weekend’s pig roast at Penngrove Park. On Saturday, the family friendly event will feature 3 luau whole pigs, a BBQ competition, live music and more. Event is 12:30-7 p.m. Tickets are $30 presale, $35 at door, and include 10 tastings. Kids 13 and under are free. Find out more at burninghamsonoma.com. Cotati Oktoberfest: In case you were looking for a chance to break out the lederhosen, look no further than this Saturday. The 10th Annual Cotati Oktoberfest is coming back to La Plaza Park, along with wunderbar German food, craft beers on tap, live music, polka dancing and more. The events takes place noon to 6 p.m., and is free to attend. Don’t miss the wiener dog races, yodeling contest, costume contest and other competitions! See more at cotati.org. DogFest Walk ‘n Roll Wine Country: This Saturday, bring your dog to Windsor Town Green for some dog-friendly fundraising fun. From 11 a.m. to 3 p.m., enjoy the Walk ’n Roll with live music, demonstrations, games, giveaways and more. This is a benefit for Canine Companions for Independence. Find out more at support.cci.org. Whiskerino: Things are going to get hairy this Saturday when the annual Whiskerino comes to Phoenix Theater from 2-6 p.m. 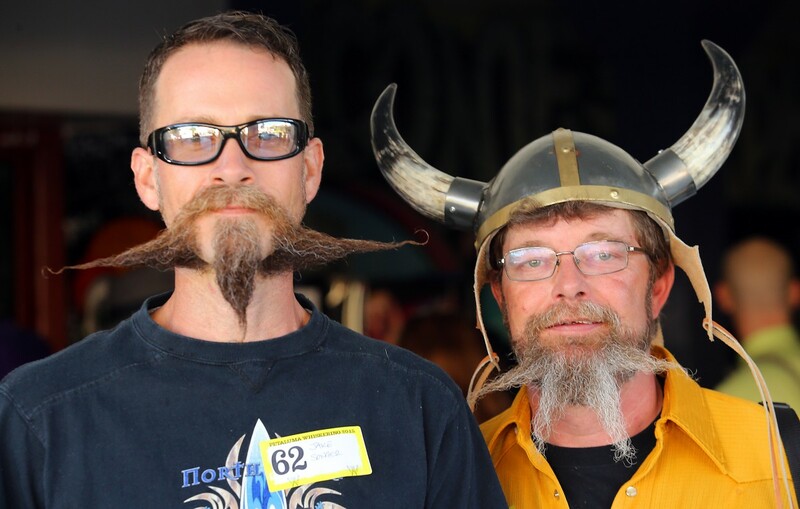 The facial hair competition will range from peach fuzz to full growth, with live music and fun for the whole family. Tickets are $5-$10. Find out more at petalumawhiskerino.com. Viking Fest: Party like a Viking this Saturday at the 30th Annual Viking Fest at Freya Lodge in Santa Rosa. From 10 a.m. to 3 p.m., enjoy live Viking re-enactments, live music, Scandinavian vendors, a Taste of Norway lunch and more. Find out more at freyalodge.org. The Pasta King’s 90th birthday: This Sunday, celebrate Art Ibleto’s 90th birthday and get a sneak peek at his memoir at Saralee & Richard’s Barn at the Sonoma County Fairgrounds. The event is 2-6 p.m., and Art’s Red & Green Pasta will fill everyone’s plate. Tickets are $15-$20, $8 kids 7-12, and free for kids under 7. Purchase tickets here. Mac ‘n Cheese Challenge: Add some comfort to your Sunday with a Mac ’n Cheese Cook-off at Petaluma Community Center. From 1-5 p.m., the event will feature a variety of macaroni & cheese dishes in several categories, and you get to be the judge. Tickets are $24 adults and $5 kids 3-12, and benefits the Petaluma Animal Services. For more information, visit macncheesechallenge.com. Ayesha Curry: ‘Women in Conversation’ series with ‘The Seasoned Life’ author, 7 p.m., Luther Burbank Center, Santa Rosa. $125 for three-speaker series, includes book. 546-3600, lutherburbankcenter.org. Jean Hegland: Book launch for the Sonoma County author’s ‘Still Time’ novel, 7 p.m., Occidental Center for the Arts. Free, donations accepted. 874-9392, occidentalcenterforthearts.org. ‘Leaving Home’: Santa Rosa Junior College original play opens 8 p.m., Newman Auditorium, SRJC Santa Rosa campus. $12-$18. 527-4307, theatrearts.santarosa.edu. Monster Trucks: Fall nationals, Monster Truck rides, 1:30 and 7:30 p.m. Saturday, Chris Beck Arena, Sonoma County Fairgrounds, Santa Rosa. $10-$20. (530) 745-0100, wgasmotorsports.com. Shone Farm Fall Festival: Farm tours and activities, u-pick produce and pumpkins, 10 a.m.-3 p.m. Saturday, Santa Rosa Junior College’s Shone Farm, Forestville. Free. 535-3702, shonefarm.com. Art Trails: Sebastopol Center for the Arts’ open studio tours of 160 diverse Sonoma County artists, 10 a.m.-5 p.m. Saturday and Sunday and Oct. 15-16. Free. 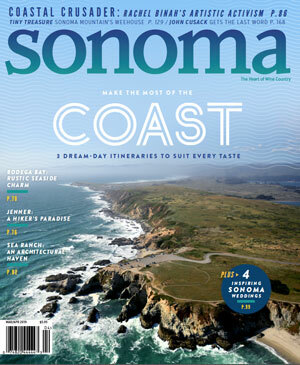 829-4797, sonomacountyarttrails.org. Chris Smither: Folk and blues singer-songwriter in concert, 8 p.m. Saturday, Sebastopol Community Cultural Center. $23-$26. 823-1511, seb.org. 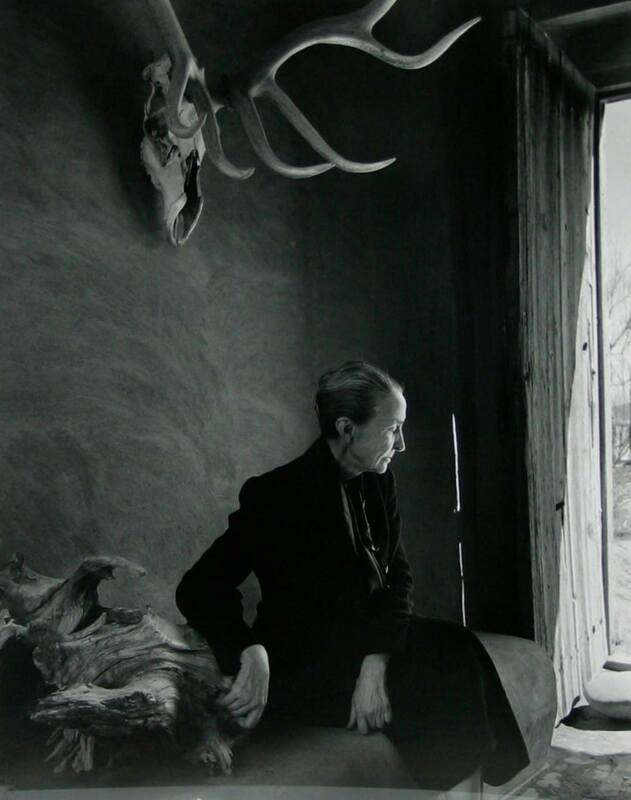 ‘XXc Icons of Photography’: The best of world photography, exhibit opening, 11 a.m.-5 p.m. Saturday, Sonoma Valley Museum of Art. $5-$15. 939-7862, svma.org. Pride and Joy: ‘Rockin’ Concert’ season finale, noon-3 p.m. Saturday, Village Court, Montgomery Village, Santa Rosa. Free. 545-3844, mvshops.com. Gator Nation: ‘Concert Under the Terrace’ season finale, 1-4 p.m. Sunday, Village Terrace, Montgomery Village, Santa Rosa. Free. 545-3844, mvshops.com. Scott Capurro: Stand-up comic known for his deliberately provocative material, 8 p.m. Sunday, HopMonk Tavern, Sebastopol. $15-$20. 829-7300, hopmonk-sebastopol.ticketfly.com. Winstrong and Friends: Roots, dancehall, hip-hop and soul artist, plus special guest musicians, 10 p.m. Monday, HopMonk Tavern, Sebastopol. $12. 829-7300, hopmonk-sebastopol.ticketfly.com. Cheetah fundraiser: Lecture by Cheetah Conservation Fund founder Dr. Laurie Marker, silent auction and dinner, 4-9 p.m. Tuesday, Safari West, Santa Rosa. $15-$60. 566-3667, safariwest.com. Marc Broussard: Singer-songwriter from the Bayou. Rock, pop, soul, funk and rhythm and blues, 8:30 p.m. Wednesday, Mystic Theatre, Petaluma. $25. 765-2121, mystictheatre.com. ‘Tristan und Isolde’: Met Opera Live season-opening high-definition screen presentation, noon and 6 p.m. Wednesday, Rialto Cinemas, Sebastopol. $18-$25. 829-3456, rialtocinemas.com. ‘Waiting for the Parade’: World War II drama set in Calgary, opens 7:30 p.m. Thursday, Sonoma State University, Rohnert Park. $10-$17. Through Oct. 23. 664-4246, sonoma.edu/theatreanddance/productions. ‘Alive Inside’: Sonoma Bach presents documentary about music helping combat memory loss, 6:15 p.m. reception, 7 p.m. show, Thursday, Summerfield Cinemas, Santa Rosa. $20-$25. 525-8909, summerfieldcinemas.com. ‘Erth’s Dinosaur Zoo Live’: Interactive, prehistoric journey with life-sized dinosaur puppets, 6:30 p.m. Oct. 14, Luther Burbank Center, Santa Rosa. $12-$17. 546-3600, lutherburbankcenter.org. ‘Titanic the Musical’: Factual story of the 1912 catastrophe, opens 8 p.m. Oct. 14, Spreckels Performing Arts Center, Rohnert Park. $16-$26. Through Oct. 30. 588-3400, spreckelsonline.com. ‘Quality of Life’: Two wildly different couples find common ground through personal tragedies. Opens 8 p.m. Oct. 14, Cinnabar Theater, Petaluma. $9-$30. Through Oct. 30. 763-8920, cinnabartheater.org. Ry X: Australian singer-songwriter and musician, 8 p.m. Oct. 14, Redwood Barn at Gundlach Bundschu Winery, Sonoma. $28. 938-5277, gunbun.ticketfly.com. Tolay Fall Festival: Pumpkin patch, nature exhibits, hayrides, straw maze, activities, 11 a.m.-5 p.m. Oct. 15-16 and 22-23, Tolay Lake Regional Park, Petaluma. $3-$5. parks.sonomacounty.ca.gov. Philharmonic Baroque Orchestra & Chorale: All-Beethoven program on period instruments, 7:30 p.m. Oct. 15, Weill Hall, Green Music Center, Rohnert Park. $35-$85. (866) 955-6040, gmc.sonoma.edu. Lumafest: Open house and education fair, kids’ activities, art, music, sustainability village, 11 a.m.-4 p.m. Oct. 15, Santa Rosa Junior College Petaluma campus. Free. lumafest.santarosa.edu. Fort Ross-Seaview Wine and Harvest Festival: Wine tasting, family-friendly activities, 10 a.m.-6 p.m. Oct. 15, Fort Ross State Historic Park, Jenner. $20 per car. fortross.org. Will Durst: ‘Elect to Laugh’ political humor stalking the presidential election, 8 p.m. Oct. 15, Raven Performing Arts Theater, Healdsburg. $20. 433-6335, raventheater.org. Santa Rosa Symphony Family Concert: ‘Land of Make Believe,’ 3 p.m. Oct. 16, Weill Hall, Green Music Center, Rohnert Park. $12-$17. 546-8742, srsymphony.org. Robert Huw Morgan: All-Bach program with the Stanford University organist, 3 p.m. Oct. 16, Schroeder Hall, Green Music Center, Rohnert Park. $30. (866) 955-6040, gmc.sonoma.edu.